According to the report, the rebar inventory in 35 major markets was 3.951 million tons last week, an increase of 77,000 tons or 1.99%. The wire stock was 868,000 tons, an increase of 19,000 tons, an increase of 2.24%. In terms of the total inventory of wire rod, rebar, hot rolled coil, cold rolled coil and medium and thick plate, the total national comprehensive inventory was 8.55 million tons, 69,000 tons more than the previous week, with an increase of 0.81%. 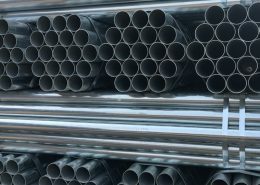 Stocks in the national fire sprinkler pipe market rose, breaking a six-week losing streak, analysts said. 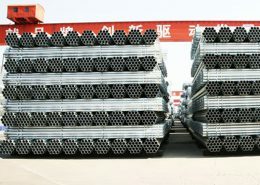 Current northeast area construction site already was basic and comprehensive shutdown, north China Beijing, Tianjin and Hebei area releases large range to protect management, many construction site shutdown remediation, domestic galvanized pipe market demand is becoming weaker, the inventory turns by fall rise. An executive meeting of the state council, which was held on nov 23, pointed out that local governments and central government enterprises should be instructed to carry out acceptance checks on the task of eliminating and eliminating excess and backward production capacity this year in strict accordance with the standards, and relevant departments of the state council should organize spot checks in accordance with the acceptance standards to strictly check the situation and ensure that the production capacity is indeed reduced. In particular, we must resolutely eliminate outdated production capacity and not replace it by an equivalent amount. News shows at the same time, to find a steel mill in hebei built before batch batch while building steel projects, jiangsu xinyi small steel plant production and marketing “DeTiaoGang against illegal”, seriously interfere with the normal production and operation order, the state council decided to send the team, to investigate, for those responsible strict chase asked, to investigate and publicly reported results. Two investigation teams from the state council, China’s cabinet, have been dispatched to hebei and jiangsu provinces to investigate illegal practices in the steel industry. Some steel enterprises in hebei and jiangsu have taken the initiative to stop production to cooperate with the investigation, especially those producing medium-frequency furnaces in jiangsu. In the later stage, with the deepening of the investigation, it is expected that more illegal enterprises will stop production, which will have a certain impact on the overall supply of the market. In addition, the ministry of environmental protection recently dispatched inspection teams to conduct special inspections of the emergency response in taiyuan, Shanxi Province, linfen city and tangshan, hebei province. The ministry of environmental protection inspection team found that some cities have failed to implement emergency response measures for heavily polluted weather. Analysts pointed out that the late environmental governance will continue to increase, steel production will also form a certain inhibition. The underground fire protection piping market has seen a resurgence in pipeline capacity and environmental protection. With the continuous tightening of the property market regulation policy, the recent hot city property market has shown obvious signs of cooling. If the property market cooling down the real estate investment growth rate of decline on domestic steel demand will have a negative impact. The agency sees strong bullish sentiment as evidence that money has accelerated into the commodities sector since the housing market cooled in October, driving up commodity prices in turn. 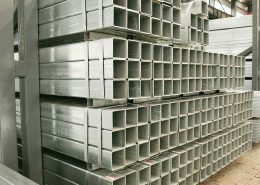 Therefore, although the domestic steel market in December under the pressure of weakening demand, but in the high cost, steel production cuts, abundant funds and other factors, the domestic steel prices or still have the momentum to go higher.